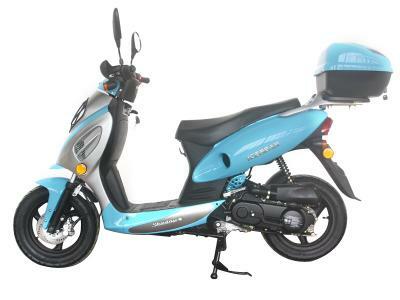 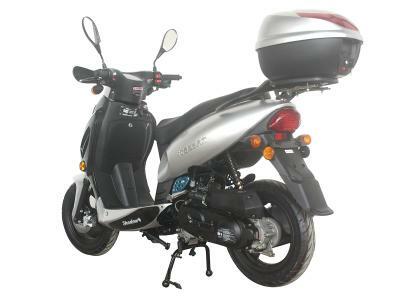 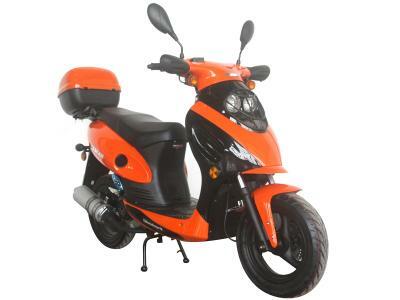 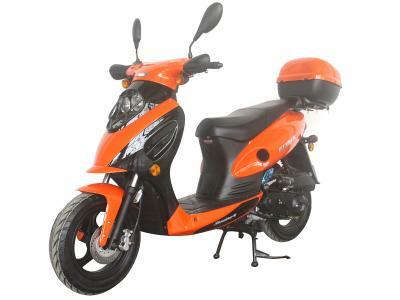 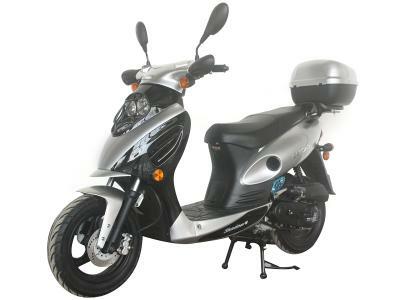 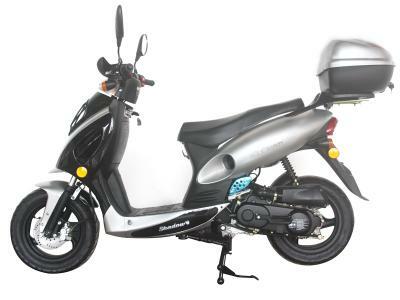 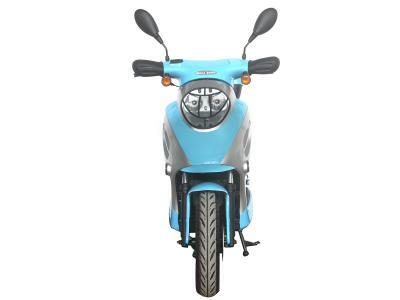 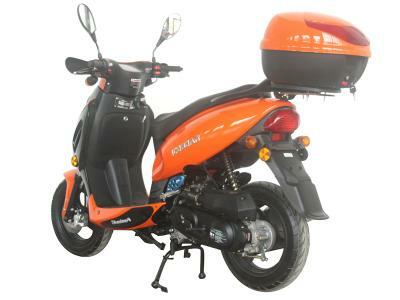 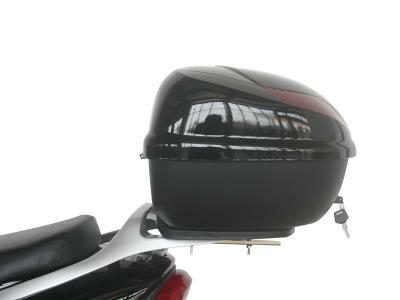 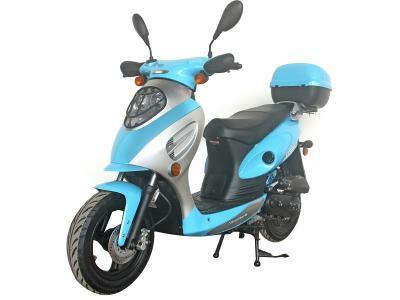 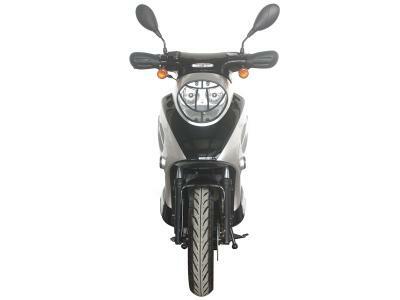 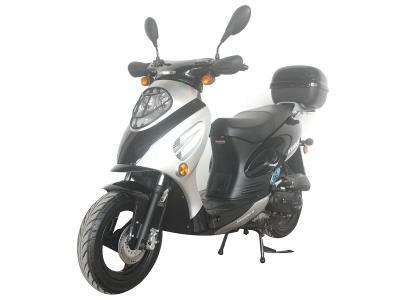 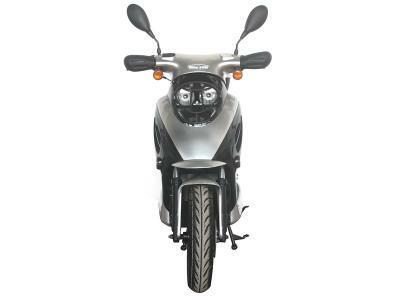 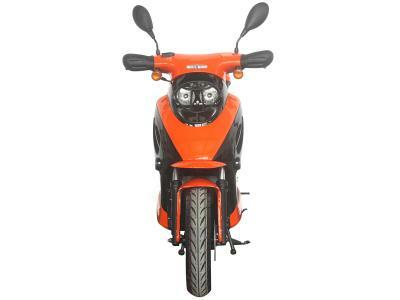 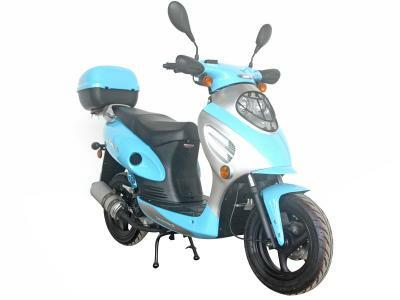 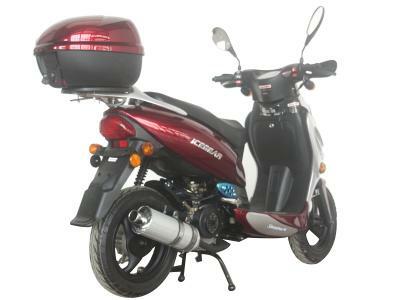 Shop for SCO008 50cc Scooter - Lowest Price, Great Customer Support, Free PDI, Safe and Trusted. 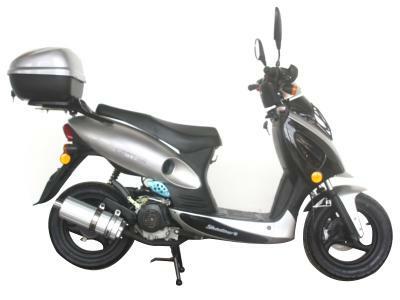 49.6cc Scooter, Automatic Transmission, Front Disc/Rear Drum Brake, 12" Alunimum Big Wheels, Rear Trunk, Metallic Paint. 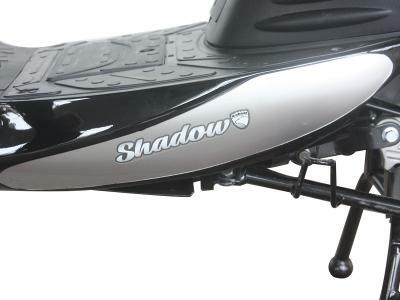 The SHADOW is the fun scooter! 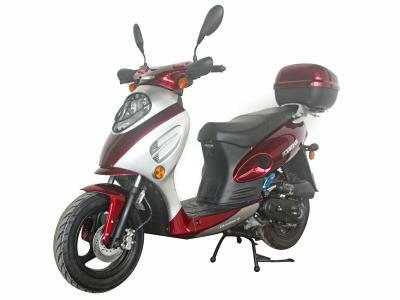 No license or endorcement is needed in most states to ride this around town! 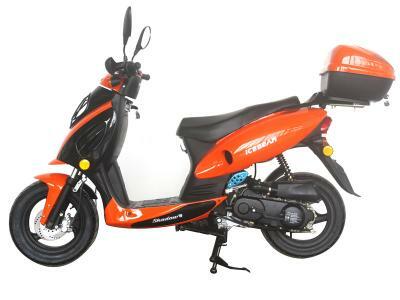 This reliable scooter features 10 inches wheels, rear shocks, a kick start and powerful engine to give it some kick! 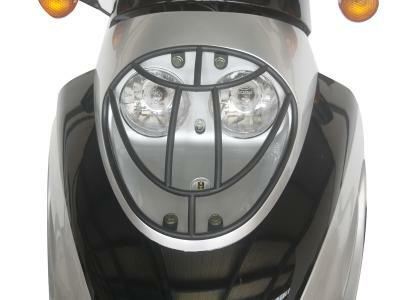 Besides quality of headlight, highlight the feature that it has this mesh protecting the headlight. 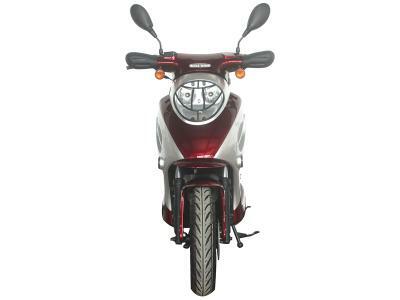 This 50cc, air cooled, 4-stroke engine puts a strong, predictable power with incredible gas mileage. 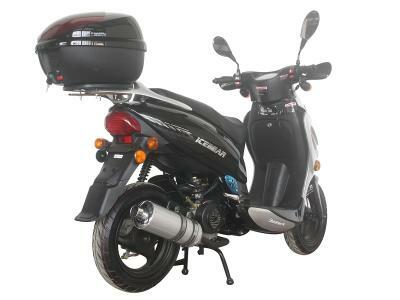 It gives more power and better performance. 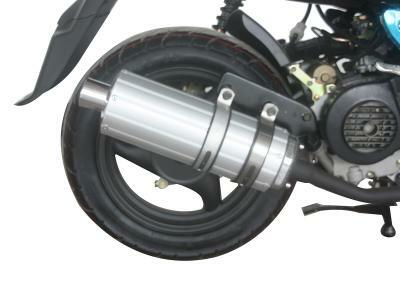 Deployed with an aluminum exhaust pipe this muffler has all the top features a moped deserves. 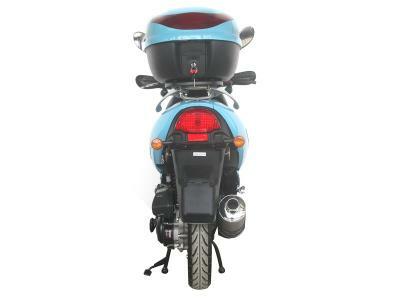 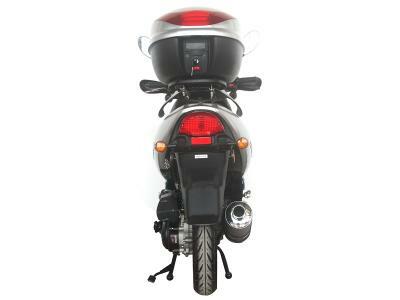 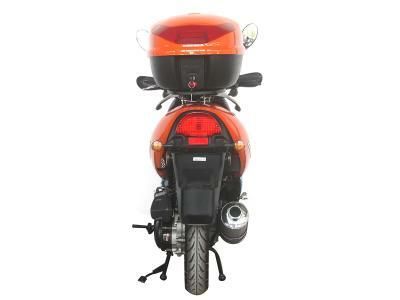 For added safety it includes a metal cover to protect fumes from coming in contact with the rider. 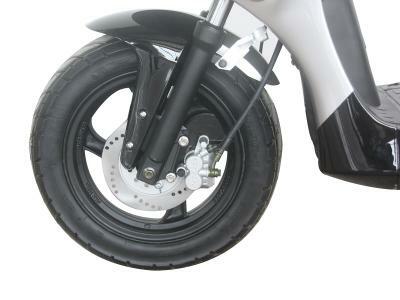 Not all riding surfaces are flat and even. 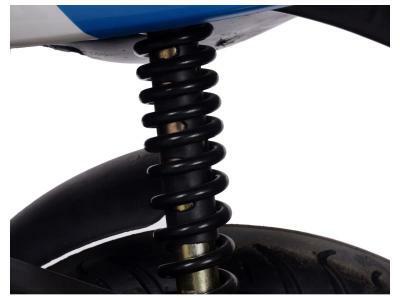 That is why we created reinforced real single suspension shocks to make your riding comfortable on all types of roads and streets. 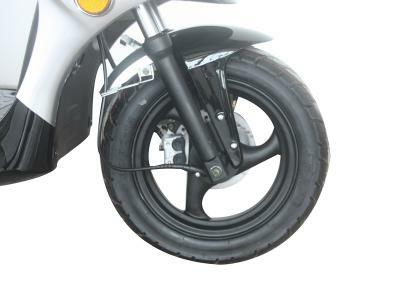 12" bigger wheels ensure superb traction and cornering ability, in addition, they can handle overall smoother ride. 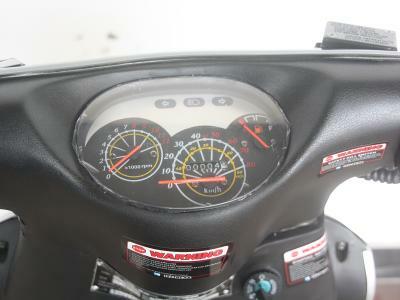 The smart instrument panel tells you everything you need to know when operating your scooter. 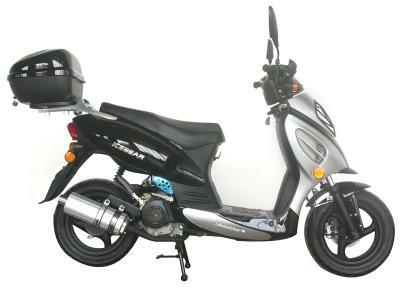 how easy is it to get spare parts or replacement parts if anything went wrong, and how fast could you get spare parts. 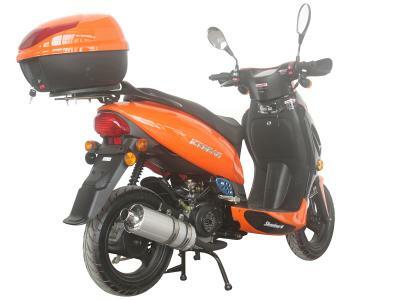 Also do you provide any roadside service if it breaksdown somewhere.Also i am about 200 lbs and like to use it for a 20 mile commute each way to work. 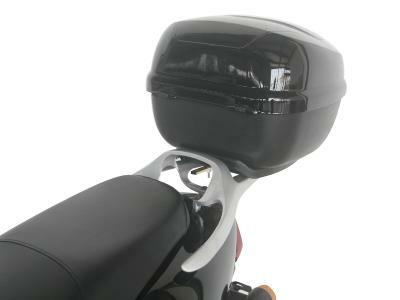 We have 95% of parts in stock. 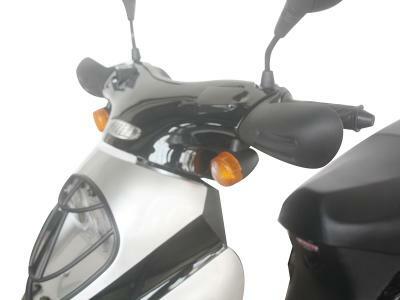 Once a warranty claim is filed and confirmed, we will ship out the parts within one week. 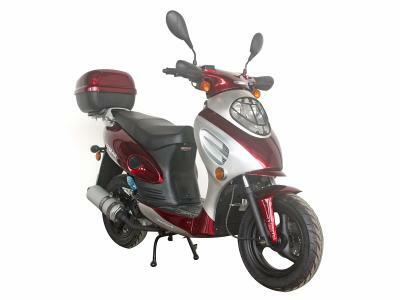 In rare cases where we do not have the parts in stock and have to order from overseas, the turnaround time is between 30-45 days. 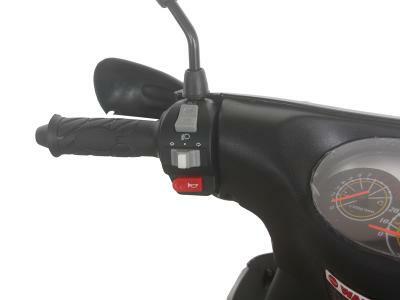 We don't have roadside service for the moment. 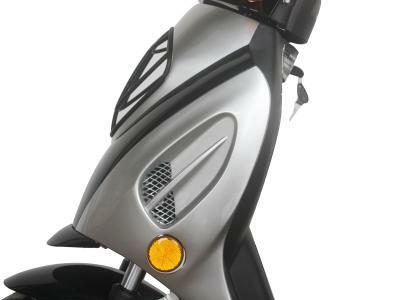 Hi Barbara, this scooter could carry an adult for daily commute. 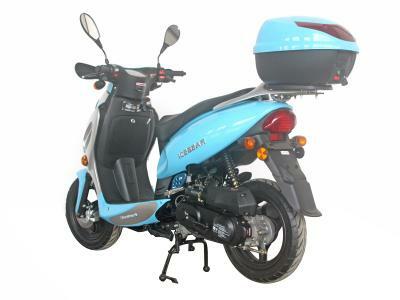 I suppose it's good for you. 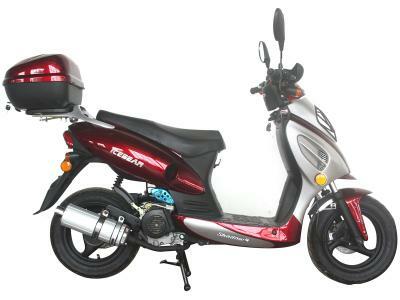 It's street legal in CA. 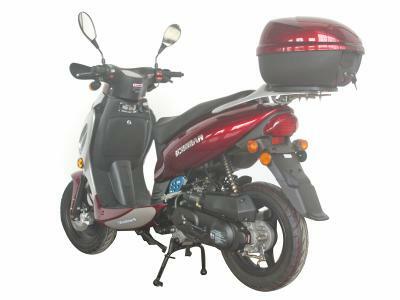 If you need us to assemble it, choose 100% fully assembled in product page, it will cost extra $199 for the assembly. 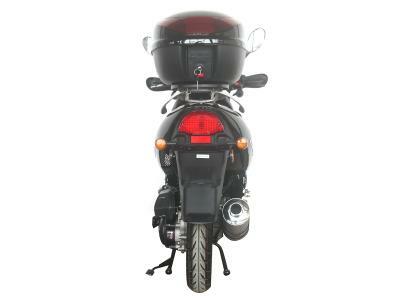 Do you need a motorcycle license to drive it in New York? 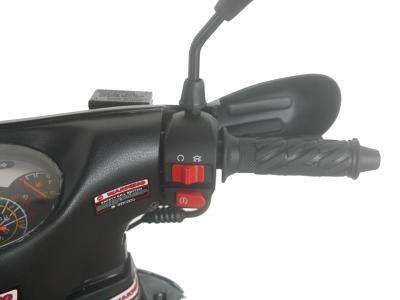 Every state is different. 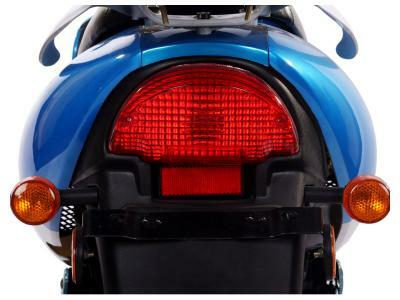 Please check with your local DMV for the most updated information regarding your state. 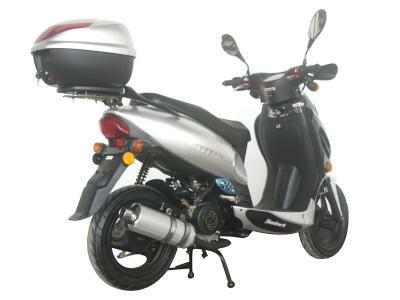 1-if its 80% assembled what is the other 20% you have to do. 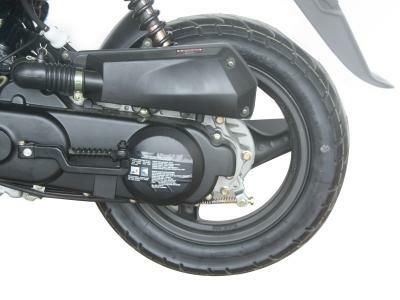 Front Wheel, Front Fender, Front Cover, Handle Bar, Aluminum Foot Pedals need to be assembled. 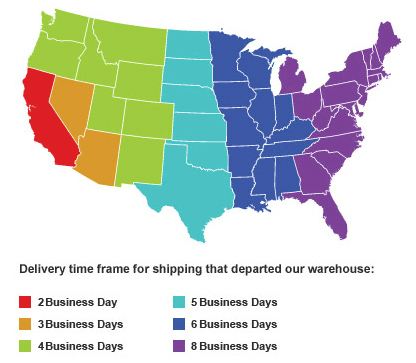 How long would the shippment be to Pennsylvania? 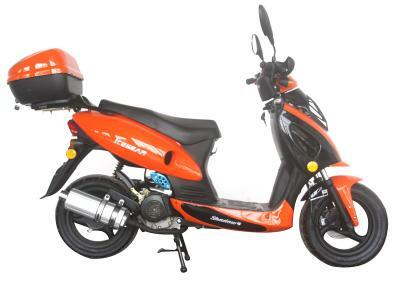 Is there a fee? 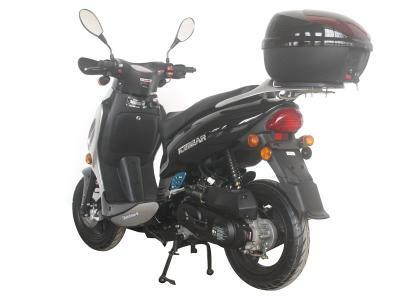 3-4 business days. 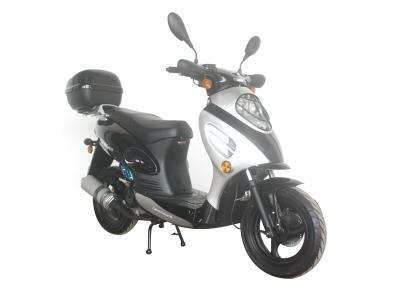 If we ship the unit from our east coast location the shipping is free. 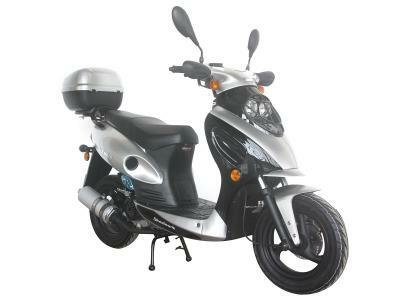 we can ship this unit out to you 80% assembled, and the shipping would be free. You will receive a title and bill of sale when you receive the product. Please call 855-623-6686 for more details. 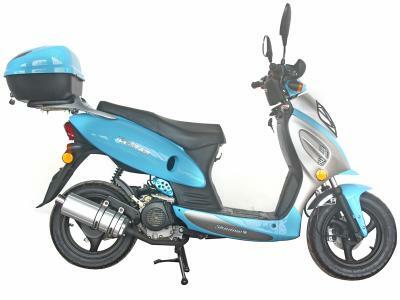 this is a zhenhua. 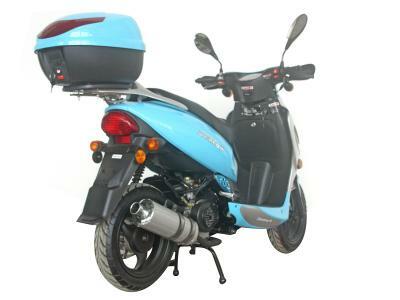 manufacturere.